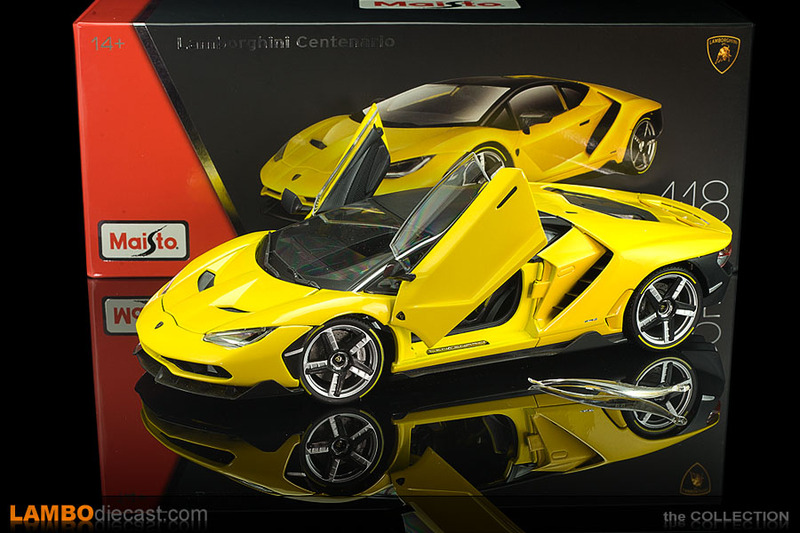 Maisto is a diecast model maker, they used to be competition to Bburago, but these days Bburago and Maisto are owned by the same group, so we sometimes see models being shared between these two makes ... surely not up to the standards of Kyosho or AUTOart, Maisto doesn't pretend to make collector's items ... and it shows, but you also note this when you receive your credit card statement after adding one of these models to your collection, so I wasn't too worried when I found out Maisto would be building a 1/18 scale model of the very special Lamborghini Centenario LP770-4. 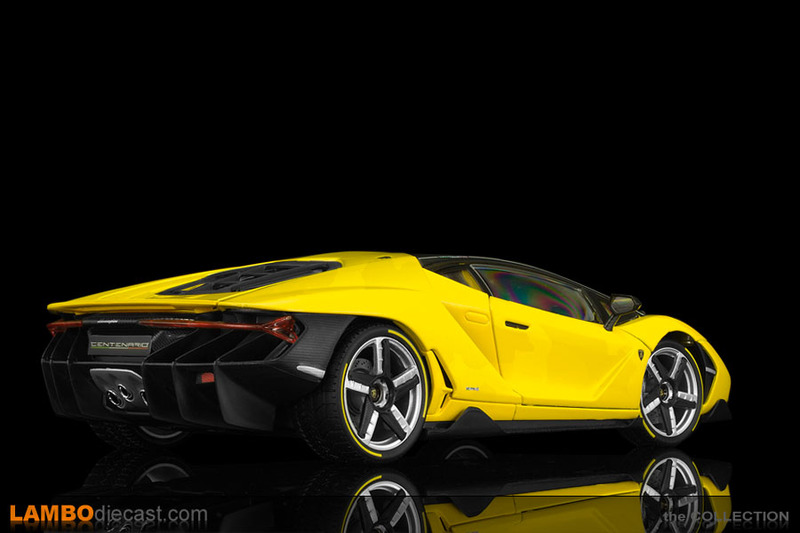 The Lamborghini Centenario was introduced at the 2016 Geneva Motor Show as a celebration model for the anniversary of Ferruccio Lamborghini, the founder of Automobili Lamborghini SpA, in 2016 he would have been 100 years old, so the Centenario is a tribute to the man that gave us the most amazing looking Raging Bulls on the road since 1963. 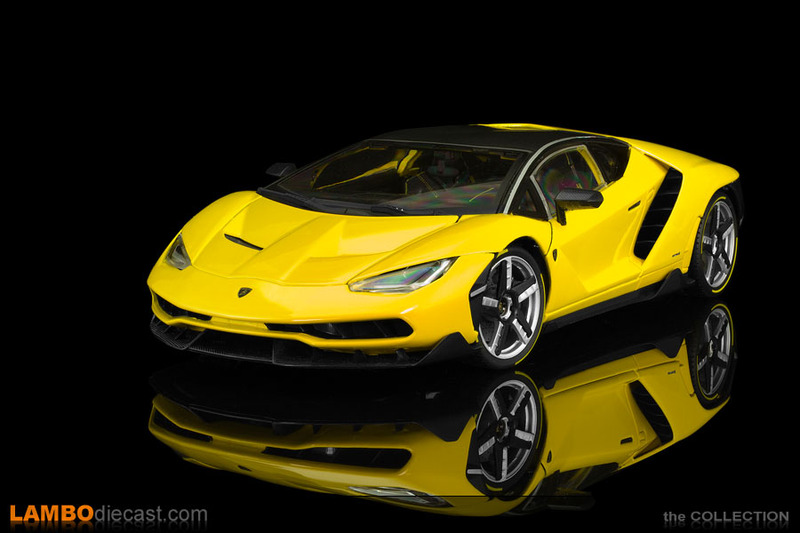 Acquiring a Lamborghini Centenario LP770-4 wouldn't be easy, for one the list price was €1,750,000 before taxes and only 20 Coupe would be built (another 20 Roadster would be built later on), the show car in Geneva was finished in a glossy, clear carbon fiber ... a €300,000 option by the way, but you could also order the Centenario painted in every shade possible. 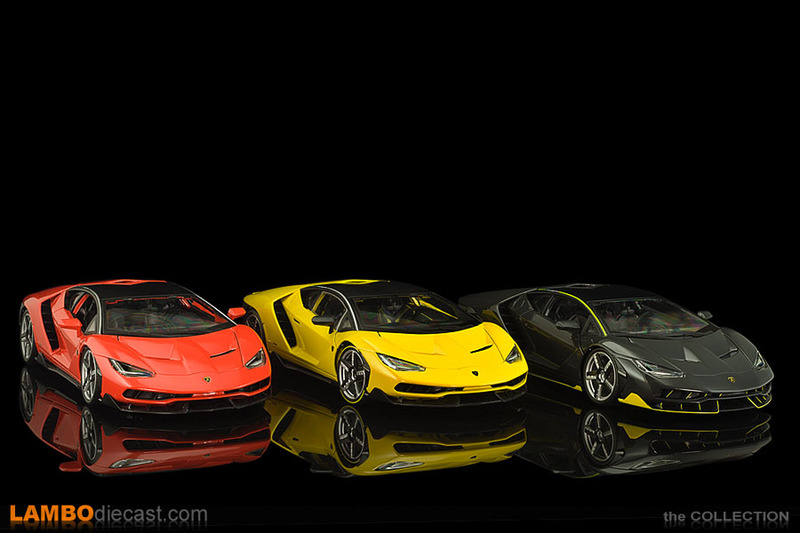 Maisto actually offers two different versions of their Lamborghini Centenario model, finished in either red or dark grey, you can buy their 'Special edition' series, or you can get this yellow one in their 'Exclusive Series', the latter being a little more expensive, but the Exclusive Series comes in a very nice box with a lot of protection for the model, and the model itself is better finished and comes with more details compared to their 'Special edition' counterparts. 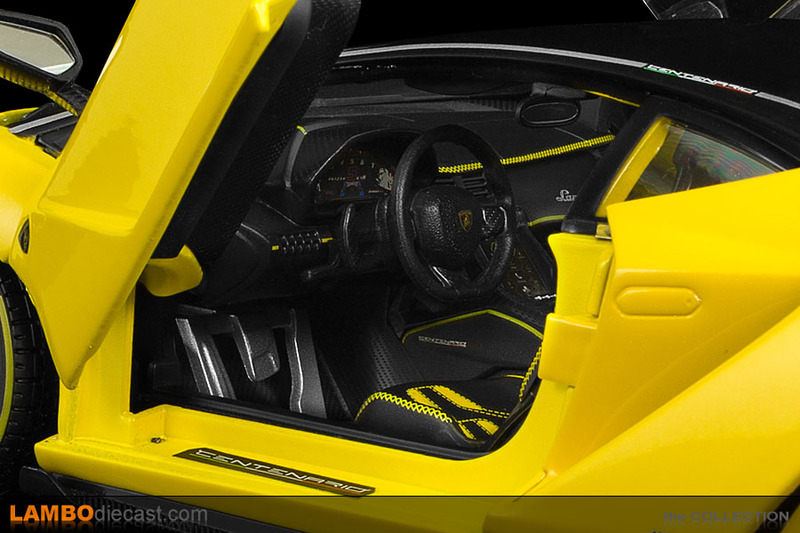 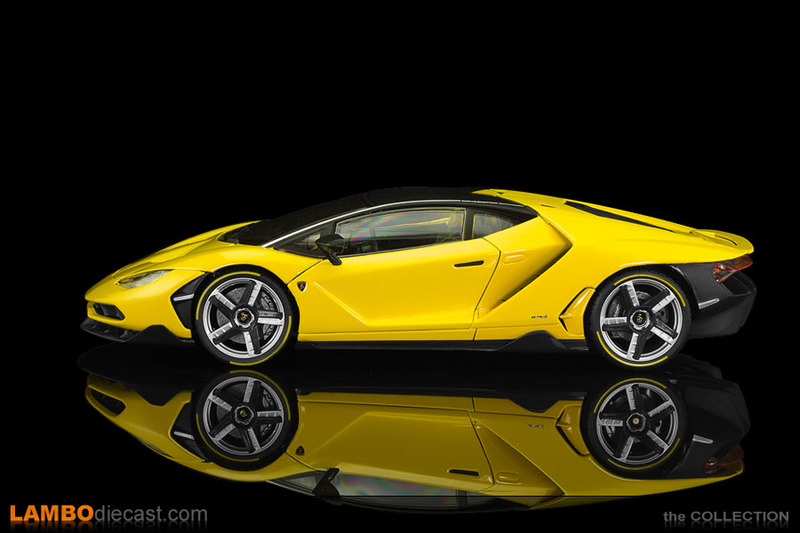 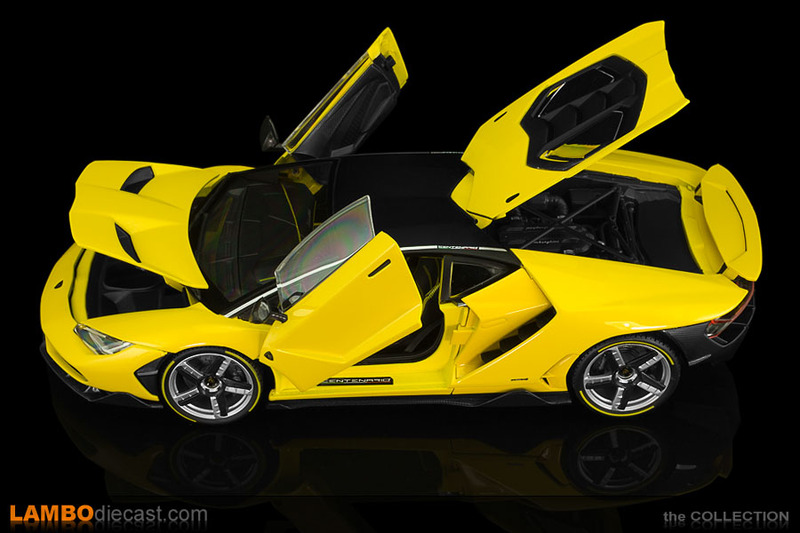 In this case, the yellow Lamborghini Centenario 'Exclusive' shows yellow livery on the tires, and yellow stitching and patterns on the seats inside ... and comes with side windows, full side windows mind you, so Maisto even delivers a little tool to open the doors. 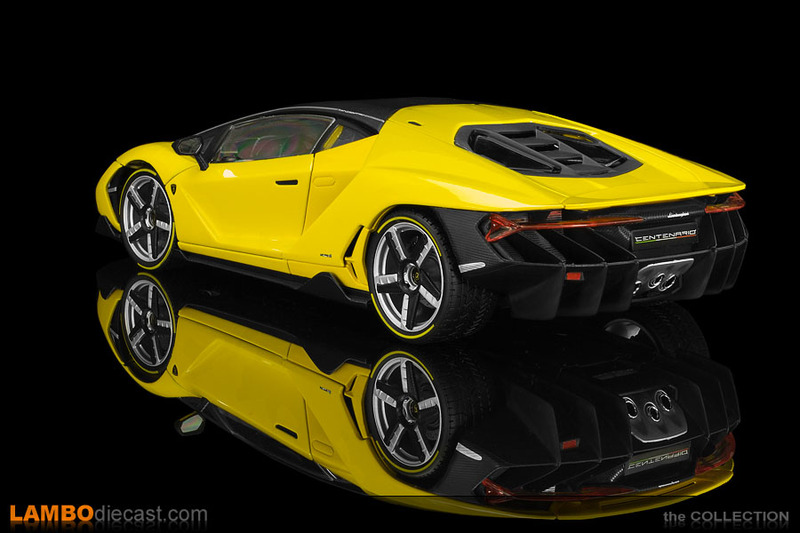 According to the Maisto website, their Exclusive Series also have a more detailed engine, better paint, front wheels that actually steer with the steering wheel inside and a spring suspension ... and I have to admit this yellow Centenario does 'look' better than her red or grey counterpart from the Special Edition series ... naturally, there is a price difference ... both the grey and red Centenario I was able to buy at €35 each, this yellow Centenario was €59 ... so almost double ... now is she worth it? 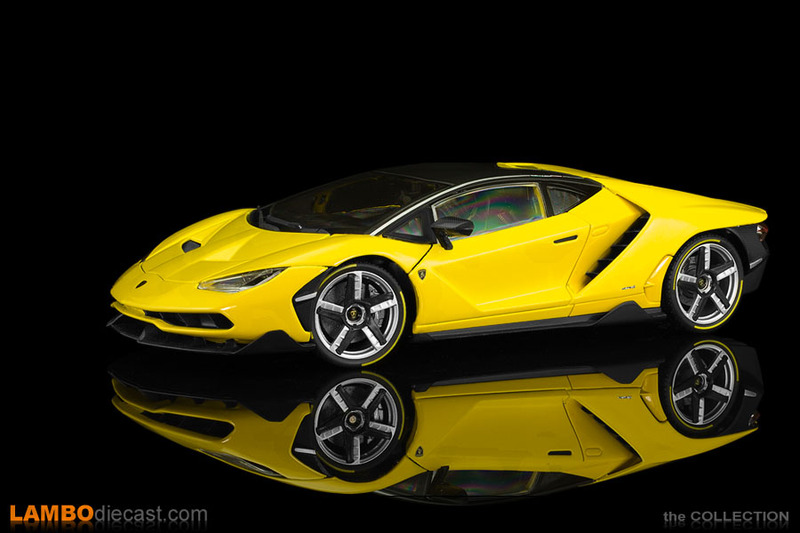 Simply said ... yes, the Exclusive Series Lamborghini Centenario is the one to get if you ask me, sure the MR one is a lot better, and soon AUTOart will release their 1/18 model of this rare Bull too, which will blow us away with stunning details and finish ... but also at a price. 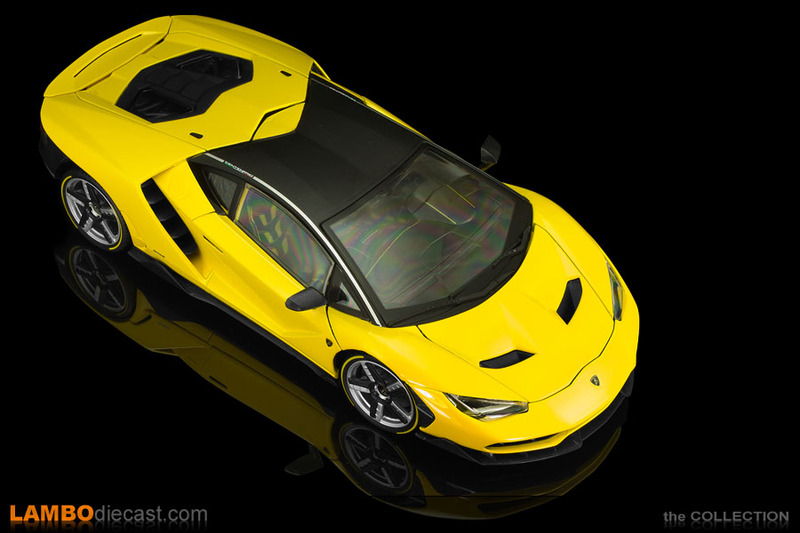 For €59 this Maisto model is extremely nicely finished. 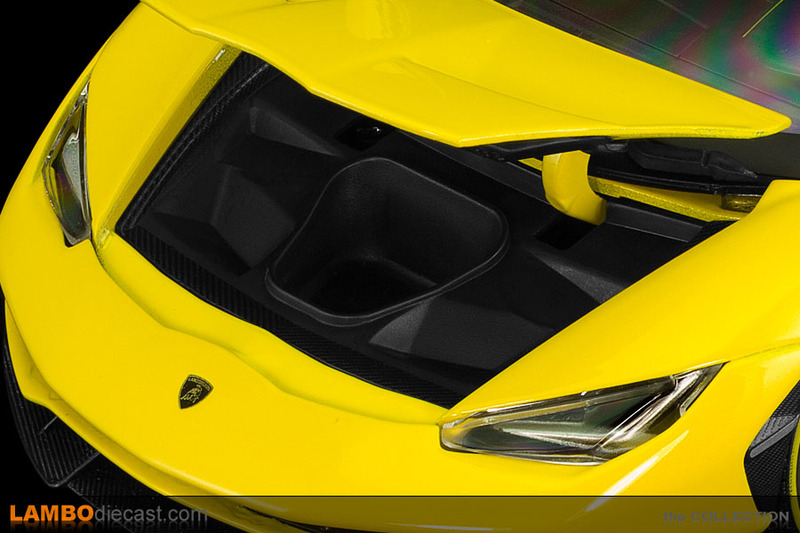 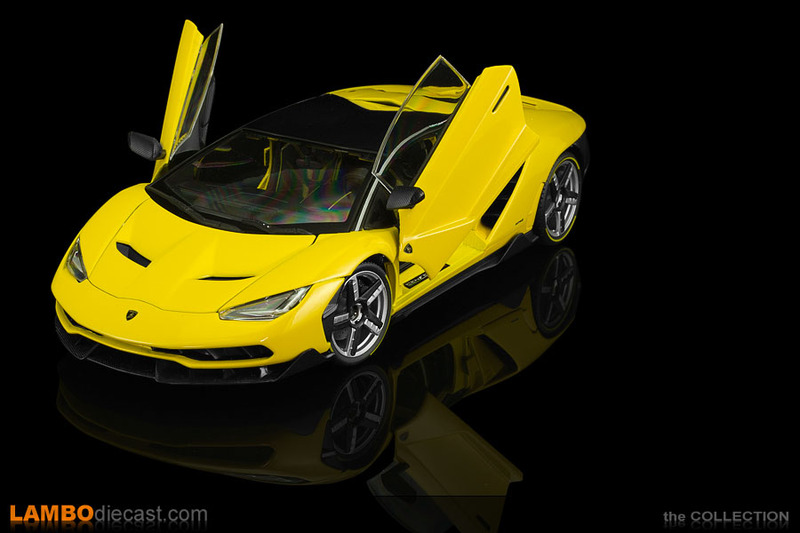 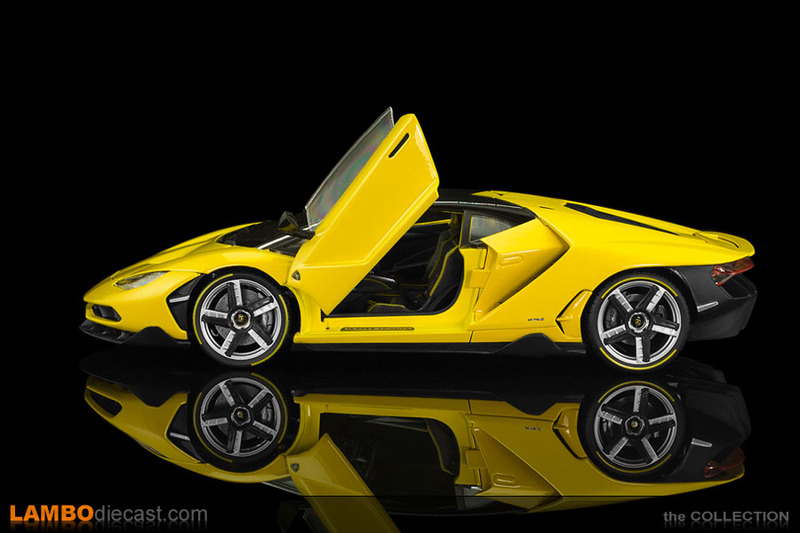 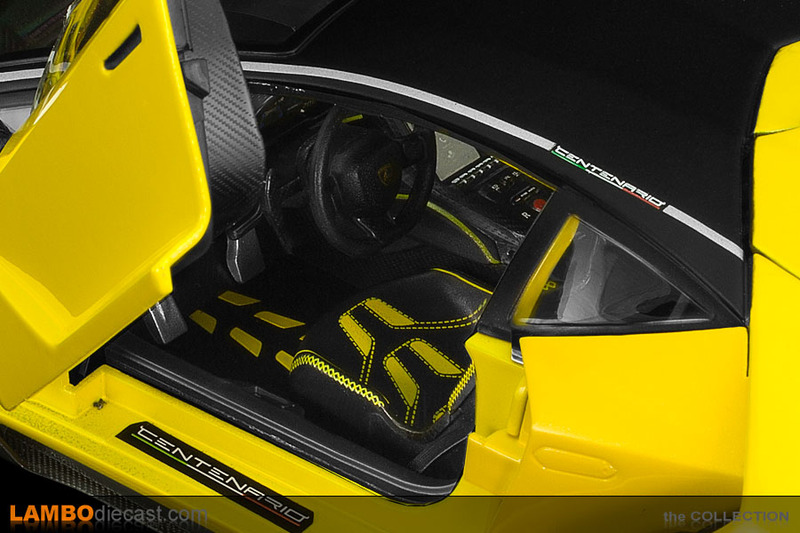 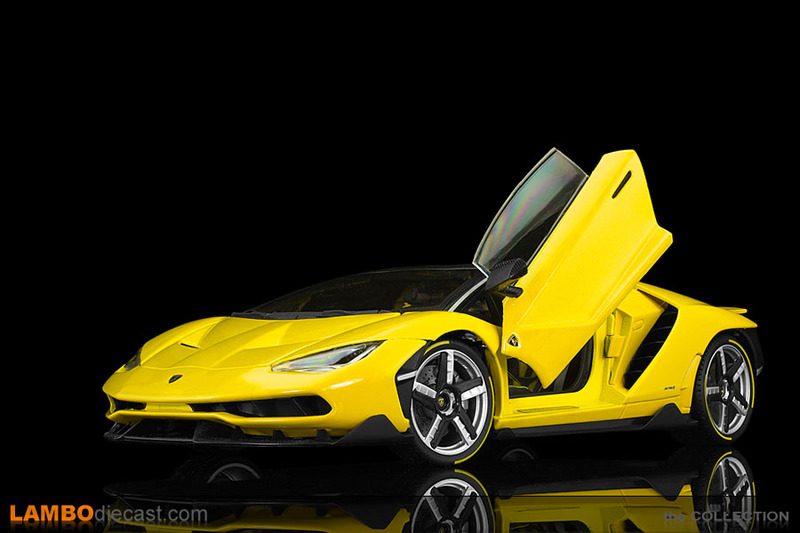 When compared to the grey Maisto Centenario the carbon fiber parts of this yellow one are even darker ... 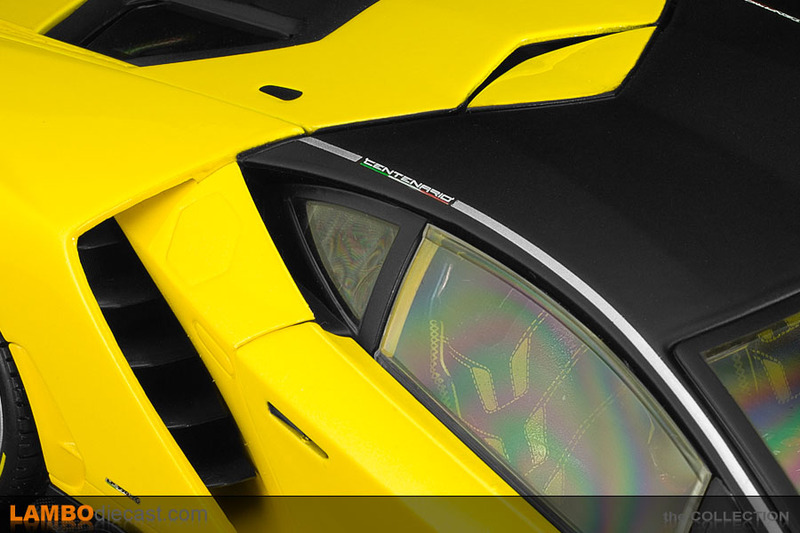 I wouldn't say more detailed, but because they are almost black now, they look better. 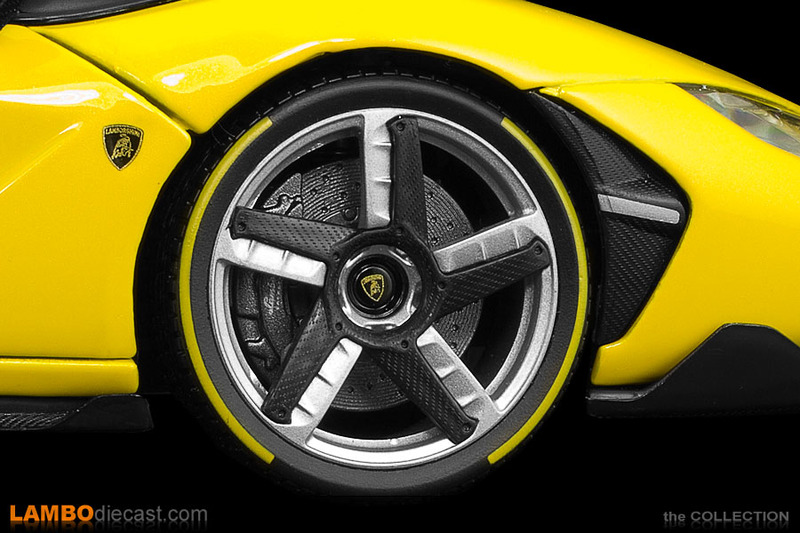 Another highly detailed difference are the disc brakes, in the Exclusive series these look really nice, and show a perforated design, also the brake calipers show more detail on the latter one ... and while the Maisto Centenario in the Special Edition series comes with a white LED bar at the rear, the Exclusive Series Centenario comes with a red-tinted bar and painted reflectors on the lower diffuser. 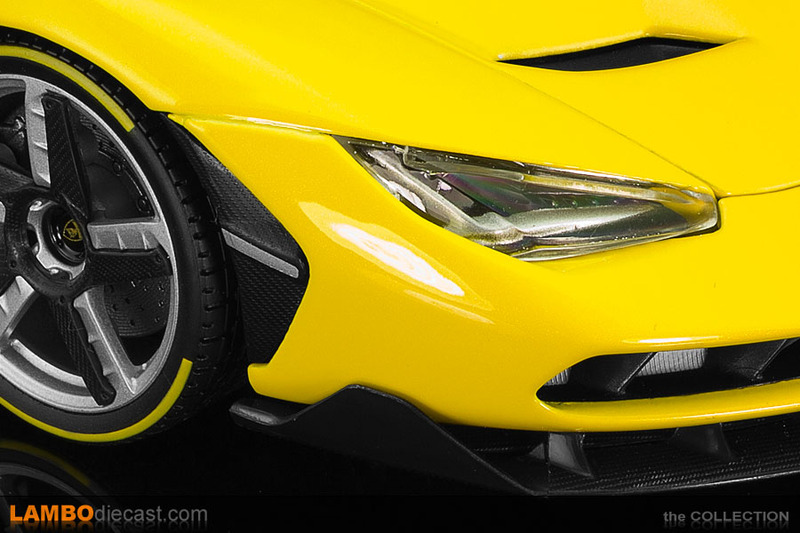 One detail I wish Maisto kept on this Exclusive Series edition is the yellow livery on the lower parts of their Centenario. 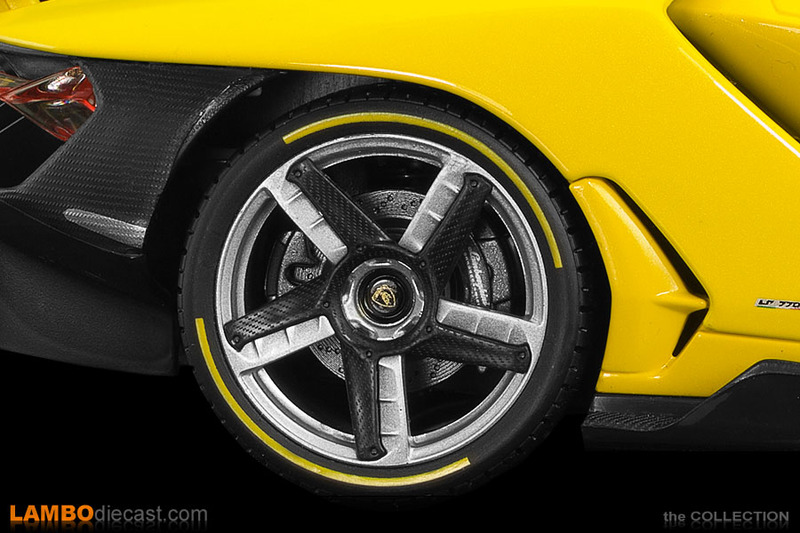 If you take a look at the grey Special Edition one you'll notice the lower part of the front bumper, the side sills, and sections on the rear diffuser are finished in yellow ... and in real life there is a Giallo Centenario with these yellow details too ... so why did Maisto take those away on the Exclusive Series one? 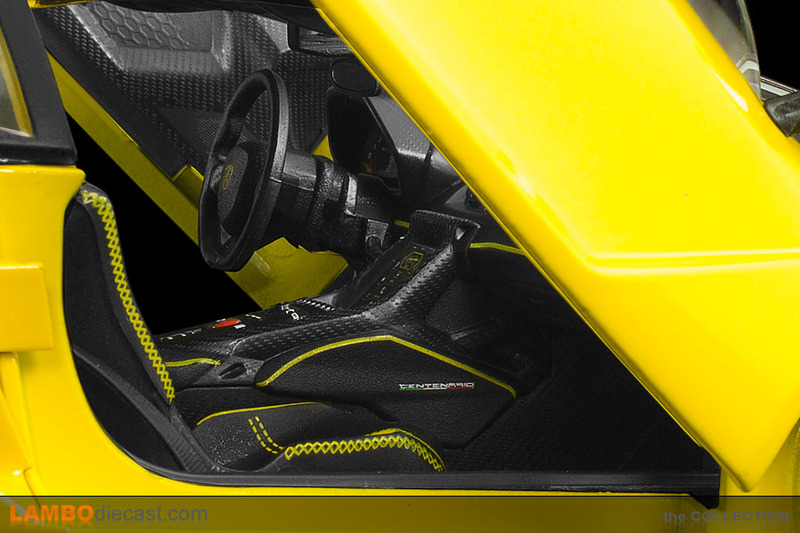 I can only hope Maisto also makes a dark grey, or even better, a carbon fiber version in their Exclusive Series next ... now that would be amazing. 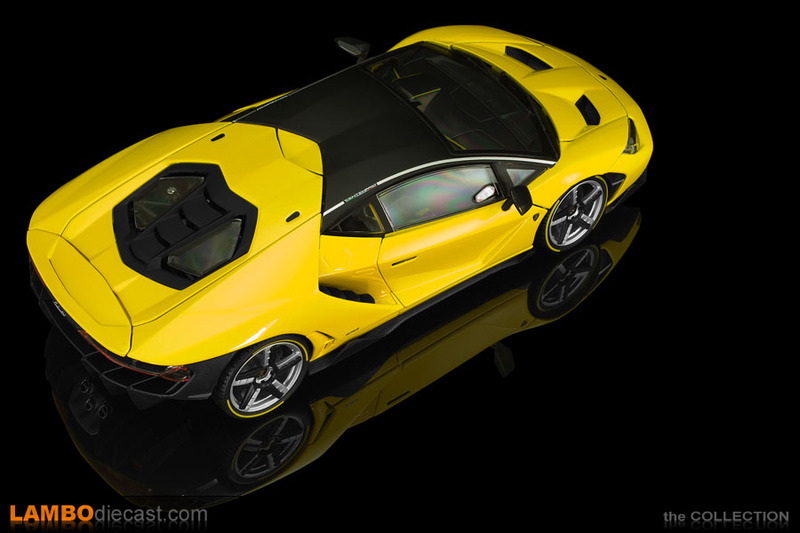 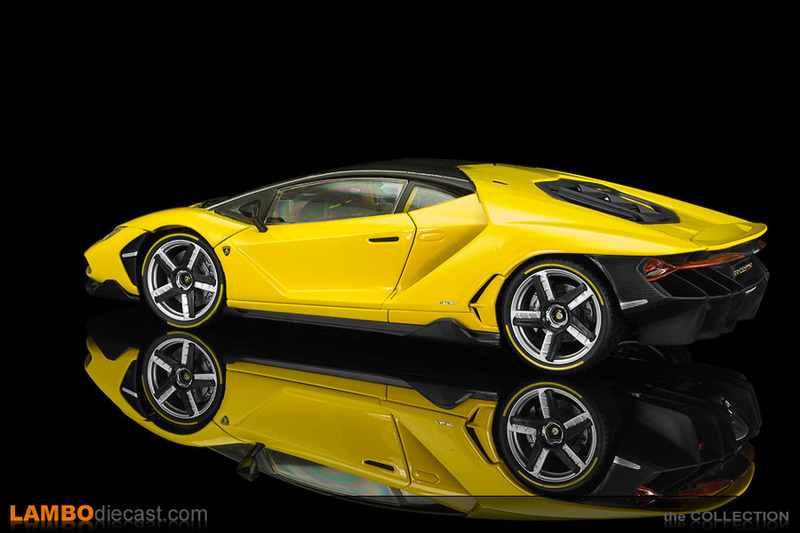 If you didn't spend €450 or more on the MR made 1/18 scale model of the Lamborghini Centenario LP770-4 and you want to add this very special commemorative Lamborghini to your collection I think the Exclusive Series Maisto made Centenario is a perfect candidate, she is nicely finished and comes with a very attractive price. 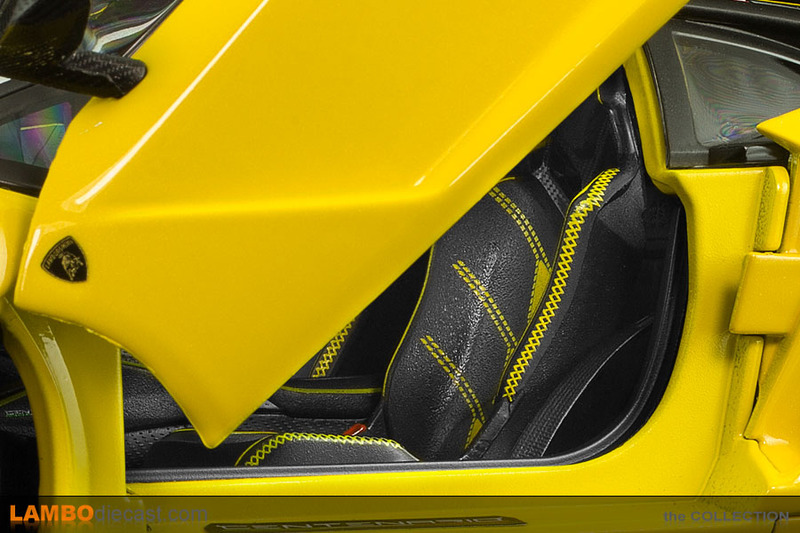 I am probably going to add the AUTOart version to my collection too, simply because that one will be so nicely detailed, and more importantly ... AUTOart is releasing the full carbon fiber version too, that's the one to get ... period. 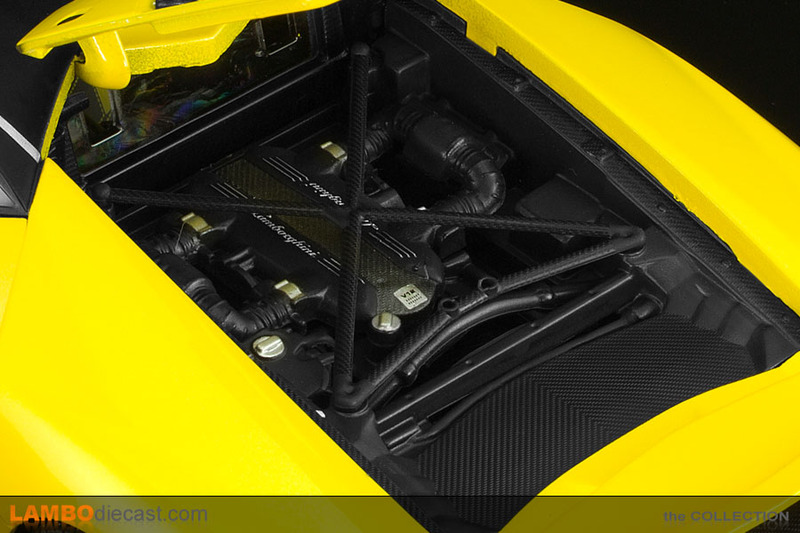 I have to admit the Maisto made 1/18 scale model of the Lamborghini Centenario does come with one massive mistake ... the engine cover. 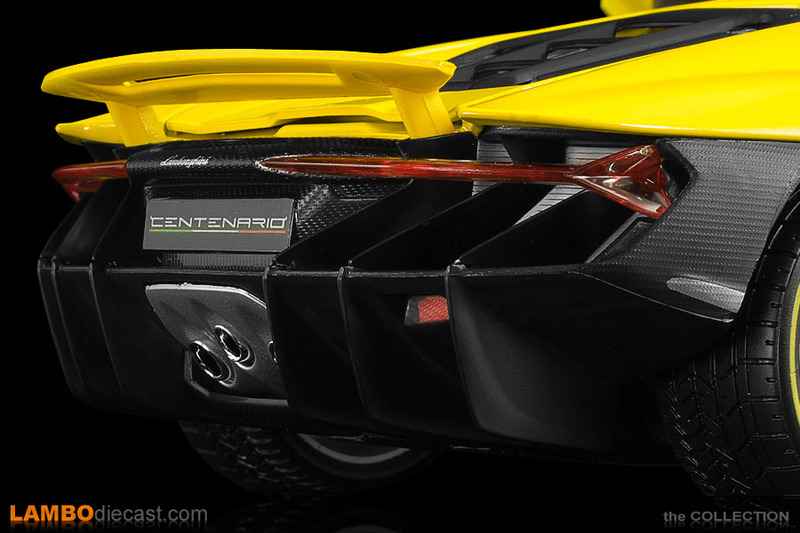 Maisto has it hinged at the front (ok, there are massive doglegs, but that's not the problem) ... while on the real Centenario the engine cover is simply removable, it doesn't have any hinges, you lift it up from the car and store it to the side.